Rifle ammunition made by PPU, desire of many hunters, is real diamond in the rifle of every passionate hunter.Designed according to market demands, improved by the suggestions of hunters, PPU ammunition is the result of up-to-date technical and technological solutions, long-term special research work of ballistics and hunting experts. It is made of high-quality raw materials and components carefully chosen according to its application.Hunting with PPU ammunition becomes magic, an enchantment, an adventure for memory, tranquility and success for prestige. 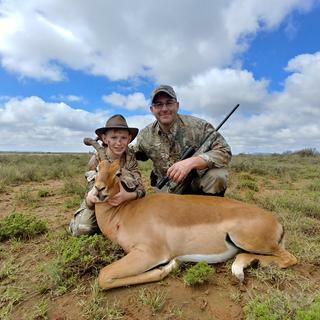 This ammo has been extremely accurate in my 243 and 308 recent trip to South Africa my son bag 10 animals with the 243 single shot drops.